In line with its principle to always offer course material that is relevant to the workplace and current trends, Boston City Campus & Business College has introduced two brand new courses, namely the Microsoft Certified Solutions Associate and Microsoft Certified Solutions Expert: Private Cloud. “We are very excited to be the first institution to offer these programs. The Windows Server 2012 certification is extremely new and cutting edge and Boston is the only college in South Africa offering this to students. We are strategically inclined to give our students the latest and greatest career study options. Our learners who complete this course will be among the first to do so in the world” says Ari Katz, CEO of Boston. The courses are Microsoft certified courses and successful candidates will receive a Microsoft Certified Solutions Associate Credential or Microsoft Certified Solutions Expert: Private Cloud Credential Certificate. Both courses are Internationally Recognised. With the Microsoft Certified Solutions Associate Credential successful candidates will be able to install and configure Windows 2012 Server; implement, manage and administer Windows 2012 Server and install and configure Windows 8. The Microsoft Certified Solutions Expert: Private Cloud Credential Certificate will equip individuals with the ability to install and configure Windows 2012 Server; implement, manage and administer Windows 2012 Server; install and configure Windows 8; build a private cloud solution with Server 2012 and manage and implement Microsoft Private Cloud computing technologies. Along with increased data mobility, being able to access files and documents anywhere at any time has become critical. According to Price Waterhouse Cooper’s 2012 Annual Corporate Directors Survey, the larger a company is, the more importance directors are likely to place on information technology’s role in the company’s business model and in creating shareholder value. The survey also showed that smaller companies are realising IT’s role, too. This was further illustrated by the fact that over half of directors (56%) involved in the survey believe IT is “very important” or “critical” to their companies, while only a small minority (7%) still think of IT as “primarily infrastructure.” Fifty-seven percent of directors also said that they’d like to spend even more time on it in the coming year. However, having IT skills is one thing, having the right IT skills is an entirely different matter. The role of the IT professional has evolved over the past decade or so. According to the US website The High School Graduate, in the years previous to Y2K, anyone who could move a mouse could land a computer job. Currently, while information technology is still a hot employment area, the focus has shifted. Many who are in the know believe the future for graduates of Information Technology related programmes is in information security – particularly as it relates to wireless technology. The new Microsoft Certified Solutions Expert: Private Cloud course and Microsoft Certified Solutions Associate fit in nicely with this trend as the ‘cloud computing’ model deals precisely with issues of mobile data accessibility and storage and the security thereof. A technical knowledge of implementing Cloud Computing is becoming increasingly important for companies to enable them to benefit from lower cost of ownership, easier access to information, consistent backup and recovery of data and easier implementation of new technologies. The courses will provide career opportunities as a Network Administrator, Network Engineer, Systems Administrator, Information Technology Professional, Information System Administrator, Technical Systems Analyst, Cloud Solutions Professional and Cloud Solutions Administrator. It is well suited to individuals who are logical, technical, committed and disciplined. Minimum entry requirement is a Grade 10 Certificate and a fair level of computer literacy. 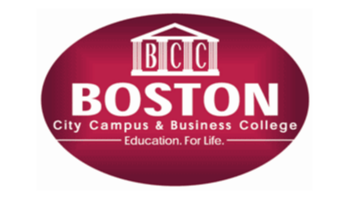 Boston City Campus & Business College guarantees a warm welcome to all and will answer all your questions. Applications for either of these new courses are now open. For more information contact our national call centre on 011 551-2000 or visit www.boston.co.za.